We oftentimes make poor choices when it comes to food, and try to counteract those poor choices with exercising or taking vitamins or other medications. However, a fertility diet can really be beneficial to couples who are trying to conceive. It can be a great thing to help give fertility a boost and can really go a long way towards helping a couple to get pregnant. 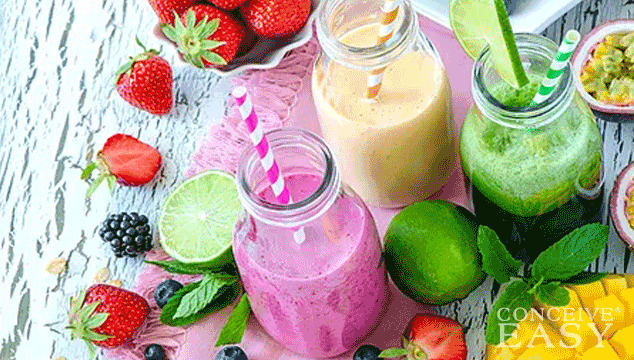 Today we are going to go over some of the most important things to put into your diet when you are trying to conceive as well as some of the most important things to take out of a diet when trying to conceive in order for the best chances of getting pregnant. Hopefully this will be helpful to couples who are trying to improve their health and nutrition in order to get pregnant. We are going to start off this article with talking about some of the things that men and women both should ditch from their diets when trying to conceive. This will give a good starting point for a fertility diet, and can set the stage for a healthy conception and pregnancy. First of all, if a man or a woman uses illegal drugs when they are trying to conceive, it is a good idea to stop that all together before ever starting to try to get pregnant. Illegal drugs can really hurt a person’s body whether or not they are trying to conceive, but can really wreak havoc on fertility especially. Please seek professional help to stop using illegal drugs regardless of whether or not you are trying to conceive, and there is lots of help out there if you just look for it. The same can be said for cigarettes as well. Not only do cigarettes cause a plethora of health problems, but they can really damage the fertility of both men and women as well. For women, smoking increases the likelihood of a miscarriage, preterm birth or low birth weight babies. For men, smoking lowers sperm count and makes it more likely to have a baby with a birth defect or health problem. Some studies show that women who smoke during pregnancy can actually damage the fertility of the children they are carrying when they get older. If that is not incentive to stop smoking for trying to conceive, I don’t know what is! As for alcohol, it is one of the most detrimental things when it comes to fertility. 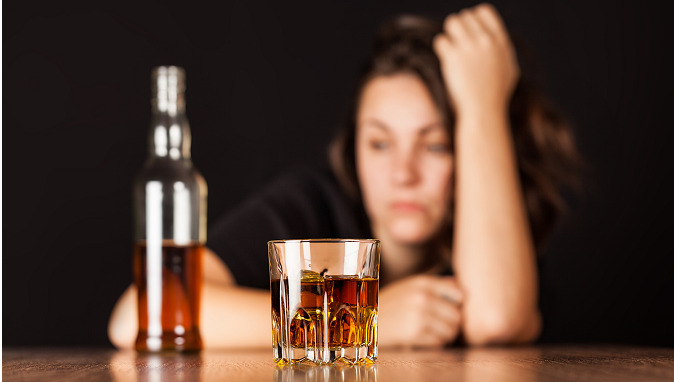 Studies show that even moderate alcohol use can hurt a woman’s fertility. Women who drink alcohol often take a longer amount of time to become pregnant, and this is true even for men as well. Men who consume alcohol often have lowered sperm counts, sperm motility and poorer sperm concentrations as compared to men who do not consume alcohol at all. The sugars that are contained in alcohol are also detrimental to fertility because the sugars, also known as insulin, contribute to hormonal imbalances in both men and women. If a woman does happen to get pregnant and she regularly drinks alcohol, she is more likely to have a miscarriage or to have a baby with a birth defect like Fetal Alcohol Syndrome or FAS. Men and women who drink alcohol should definitely try to stop before trying to conceive a baby. New studies have linked high caffeine intake to pregnancy loss. It even goes for men as well. That’s right, men with high caffeine intakes were highly associated with partners who experienced miscarriages. However, there are not many details available yet associated with this, and couples should be careful when using caffeine while trying to conceive. Some doctors still tell women that it’s okay to consume caffeine while trying to conceive, so take this information with a grain of salt. Moderation in all things in key. 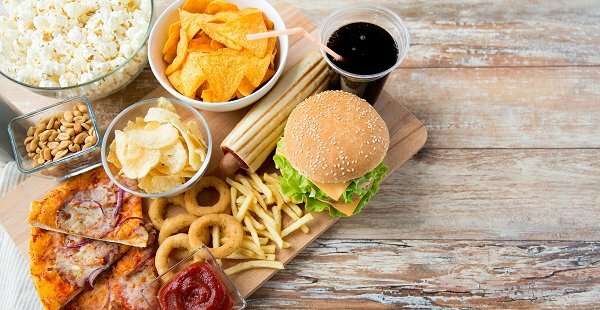 While we are all aware of how bad fast food is for our overall health, our weight and how we feel, many people do not realize how bad fast food is for our fertility. Yes, that’s right, our fertility. First of all, fast food contributes to obesity, and we all know that being overweight can make it harder to conceive. Not only that, but the BPA and phthalates, which are chemicals found in fast food containers, vinyl gloves, and fast food preparation equipment can really be detrimental to fertility. BPA has been linked to higher miscarriage levels, while phthalates are showing signs that they can affect men’s sperm quality and testosterone levels. So, it’s definitely a good idea to steer clear of fast foods when you are trying to conceive. Actually, it’s important to try to steer clear of fast foods all the time, as they are not very good for any of us. Another set of foods that are bad for fertility include sugary sweets and snacks like cakes, cookies, donuts, crackers, candy and more. These foods can definitely contribute to obesity, which can, in turn, make it harder to conceive. Studies have shown that women who are overweight have a much harder time getting pregnant, and sugary snacks and sweets definitely contribute to that in some cases. Also, eating foods that are high in sugar can disrupt the body’s hormones, and can in turn have a damaging effect on fertility, inhibiting ovulation. Insulin levels can be exceptionally high for women who consume lots of sugary products, and this can even make it to where a woman may not ovulate at all. Definitely get rid of these things when you are trying to conceive to make your journey much easier. There are so many different foods out there that are actually good for fertility, we could do a whole article series just on those. It can be difficult to get the right amounts of vitamins, minerals, and nutrients in your daily diet, so sometimes women really have to try their hardest to balance out their diets. This is also where a good quality prenatal vitamin can come in handy to help bridge these nutritional gaps. Read on for some of the most important things to make sure are included in a daily diet for maximum fertility. You can get lots of these nutrients in food forms, but you can also get them in supplement form as well. 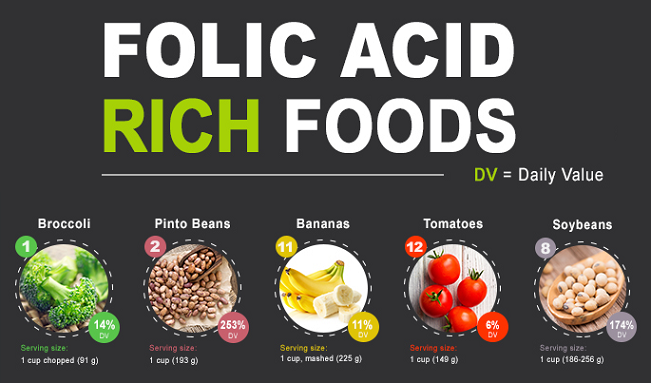 One of the most important nutrients for fertility is folic acid. Folic acid is one of the B family of vitamins, and it is so important to fertility. Folic acid helps to prevent neural tube defects like spina bifida, and women who are trying to conceive should get around 400 micrograms of folic acid daily in order to prevent these problems. You can get folic acid from many food sources, such as leafy green veggies, rice, pasta, cereals, breads, beans and citrus fruits like oranges, lemons and limes. However, it can be very difficult for women to get that much folic acid in their daily diets, and it may be necessary for women to supplement with a folic acid daily vitamin supplement in order to get the recommended amount. Omega 3 Fatty Acids are super important for fertility as well. They are imperative for regulating hormones, increasing the egg white cervical mucus which is good for ensuring that the sperm makes it to the egg and helps increase blood flow to the reproductive organs. Once a woman does get pregnant, Omega 3 Essential Fatty Acids are very important for helping to grow a healthy baby as well. These essential nutrients can be obtained through dietary sources like eating plenty of fish, like salmon and sardines, and from nuts like walnuts and veggies like Brussels sprouts, and spinach. There are also tons of Omega 3 Supplements on the market if a woman wants to take one of those to increase her levels as well. Zinc is a very important mineral when it comes to fertility and conception. Zinc is important for the development of an unborn baby’s brain and immune system, and it helps to build strong bones and muscles during pregnancy. Zinc is super important because it helps to ensure that men have healthy sperm levels for conceiving, so men should definitely make sure to get enough zinc in their diets. Zinc levels being too low can also cause women to suffer from miscarriages and can lead to poor egg production and health in women who are trying to conceive. 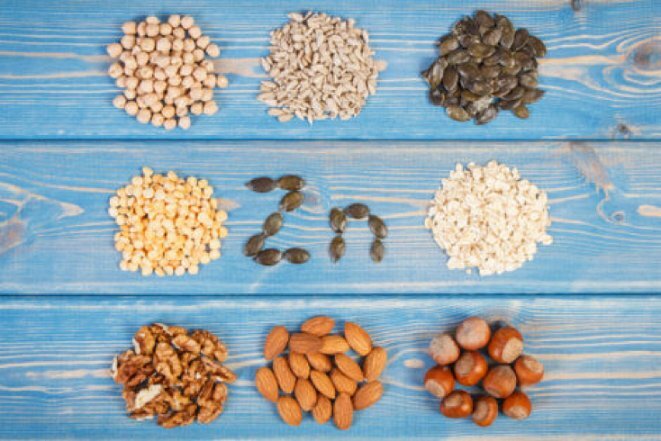 The good news is that zinc can be found in foods such as oysters, whole grains, nuts, lean meats, pumpkin seeds and more. Vitamin C is a vitamin that we all know and love as a great one to keep us healthy and to keep our immune systems strong, however, it is also a very important vitamin for fertility as well. Vitamin C can help women who have luteal phase defects and other fertility issues as well. Some studies have also shown that women who take Vitamin C are actually more likely to conceive and also have higher progesterone levels. Lots of foods contain Vitamin C, but for the foods with the highest concentrations, women are going to want to opt for fruits and vegetables. Things like cherries, tomatoes, spinach, strawberries and citrus fruits like oranges and lemons are all really high in Vitamin C, so women should make sure to include them in their diets as much as possible. 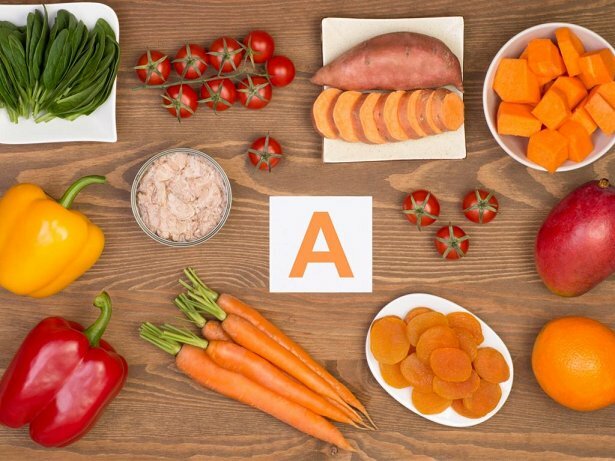 Beta Carotene or Vitamin A is a very important nutrient when it comes to trying to conceive. It is a very good nutrient for women to take when they are trying to conceive because it really helps to prevent early miscarriage once a woman is pregnant, and it helps to ensure a good quality cervical fluid in women who are still trying to conceive. This is so important, and there are many sources from which women can get plenty of Vitamin A, including whole milk, whole eggs, cheddar cheese and animal liver. For plant sources of Vitamin A, women should make sure to eat plenty of things like mango, spinach, sweet potatoes and carrots to ensure enough Vitamin A. While all of these different vitamins, minerals and nutrients might make it all sound a little bit complicated to try to eat healthy for fertility, it really isn’t. There are a few things that women should keep in mind when they are eating for fertility. • First of all, the more organic fresh fruits and veggies that a woman can consume, the better. • For grains, women should opt for whole grains like whole wheat bread and pastas, and brown rice. • For dairy products, although it sounds counter intuitive, women should opt for the full fat versions instead of low fat options. • Also, for proteins, women should get plenty of fish, chicken, peanut butter, eggs, and beans to ensure a proper protein intake. By getting all of these nutrients in the proper food forms, women (and men too!) can really give their fertility a boost and try hard to be as healthy as they possibly can! Most of us don’t really realize or understand how very important diet is to our fertility and health, but these things really can make a huge difference in fertility, so don’t underestimate the power of what you put into your body!